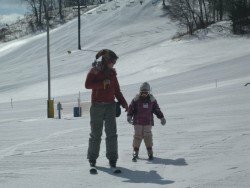 Fort Dodge is a top destination in every season of the year. 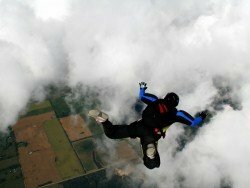 Famous for its cultural events, historic sites and numerous parks, Fort Dodge is by far the best place to enjoy yourself. 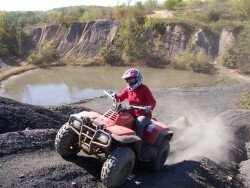 The highlight of your staying in Fort Dodge will be a visit at the well-known Gypsum City OHV Park. With intense motocross activity, the park is all you need to experience an exciting day. 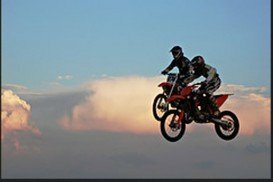 The park is roughly 300 ac/1.21 km² and sits at an elevation of 1110 to 1120 ft/338 to 341 m. It offers 15 mi/24.14 km of woods trails to all motocross junkies. This area is well maintained by the Webster County Wheelers. 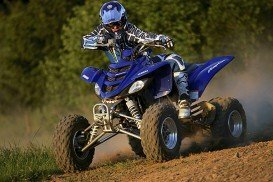 Gypsum City OHV Park includes the best features for an amazing motocross activity. 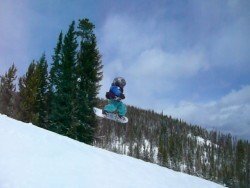 It mostly includes loose dirt, many trees and berms, enabling you to perform many small jumps. You also find some hard pack, mud and steep hills. Other features that you come across are little sand, dust and rocks. 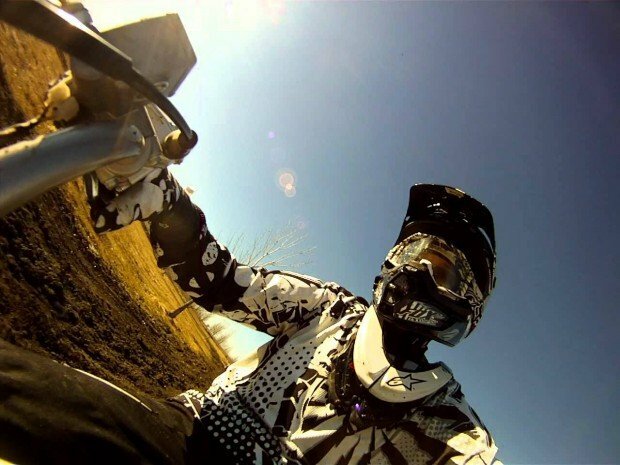 While riding, you will detect a few hazards, which are marked, but still be careful. The park also offers a practice area for beginner riders and young kids as well. 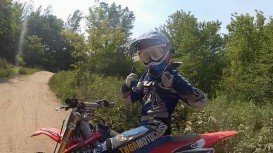 Gypsum City OHV Park is mostly addressed to amateur riders, some novices and little experts. The parking lot, entrance and riding are free. The park is open year-round, but during and after bad weather it can be temporarily closed. Having all these conditions, just visit the park and enjoy your motocross activity without cease!! Farmington is a town in Kent County, Delaware, United States. 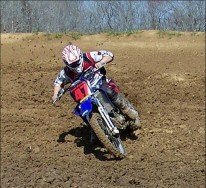 Snake Creek Motocross Park is a great motivation to visit Farmington and experience what is called, motocross activity. Lafayette is situated in southwestern Louisiana, USA, along the Vermilion River. It was founded in 1821 and it is the fourth largest city in the state. The city is also known as the center of Cajun culture, not only in Louisiana but also in the entire US. Fullerton or as it was known before 1975, Russville, belongs to Vernon Parish, a Louisiana Parish almost in the middle of the state, in the US. It is an unincorporated community that was once industrial, based around a big lumber mill. Mt. Crescent is located in Loess Hills of western Iowa. The fact that it is just at 15 mi/24.2 km in the northeast of Omaha, Nebraska, makes this place always busy. Boone is the principal city of the Iowa Micropolitan Statistical Area, encompassing all of Boone County. It is a city in Des Moines Township and the county seat of Boone County, Iowa, United States. Winterset Municipal Airport is located at 2 mi/4 km in the north of the central business district of Winterset, a city situated in Madison County, Iowa, United States. Garwin is a city located in Tama County, Iowa, United States. Union Grove State Park is situated 4 mi/6.4 km northwest of the city and it boasts a public beach, where many visitors have fishing, camping and hiking opportunities. Dubuque is a city in and the county seat of Dubuque County, Iowa, U.S., situated along the Mississippi River. In 2005, Dubuque was selected by USA Today newspaper as one of the “10 greatest places to discover Midwest charm”. 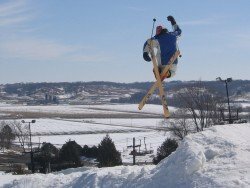 Dubuque is a mixed-blessing of nightlife, entertainment, activities and fun. Solon is a city located in Johnson County, Iowa, U.S. Being part of the Iowa City, Iowa Metropolitan Statistical Area, it is situated just a few miles from the Lake MacBride State Park and the larger cities of Coralville and Iowa City. Eddyville is a city located in Mahaska, Monroe and Wapello Counties in the U.S. state of Iowa. It is situated on the east bank of a bend in the Des Moines River.